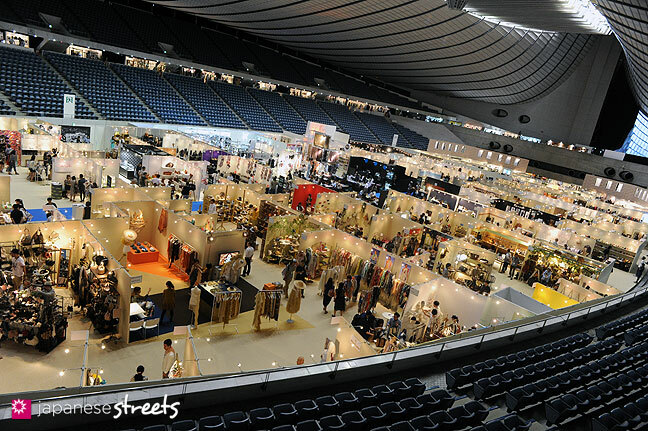 During three hot September days, rooms was once again held at Tokyo’s Yoyogi Stadium, right between the two mecca’s of Tokyo fashion, the Harajuku-Aoyama area and Shibuya. 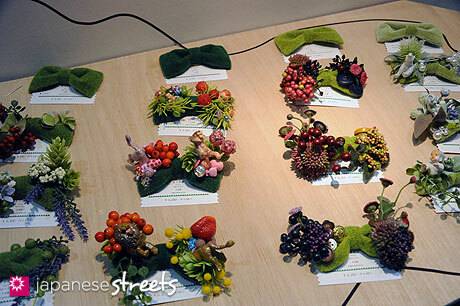 Exhibitors showed their items for the 2012 season. Some of them were brand new to the fashion business, one of our favorites didn’t even have prices set yet. 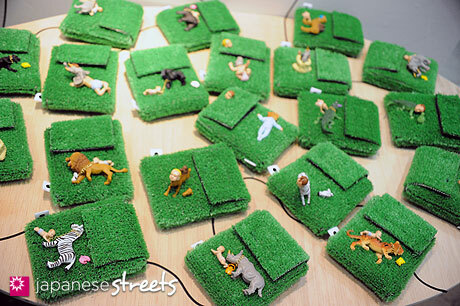 hokuro showed cases made of artificial grass, named shibacase, adorned with animals and babies. Sometimes a bit gruesome, but always playful. 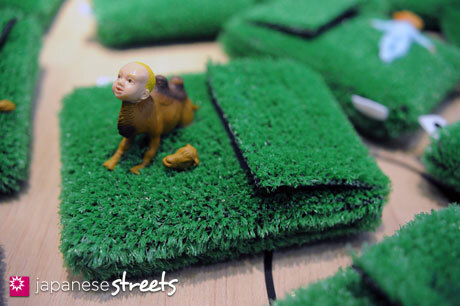 Look at these artificial grass ribbons. 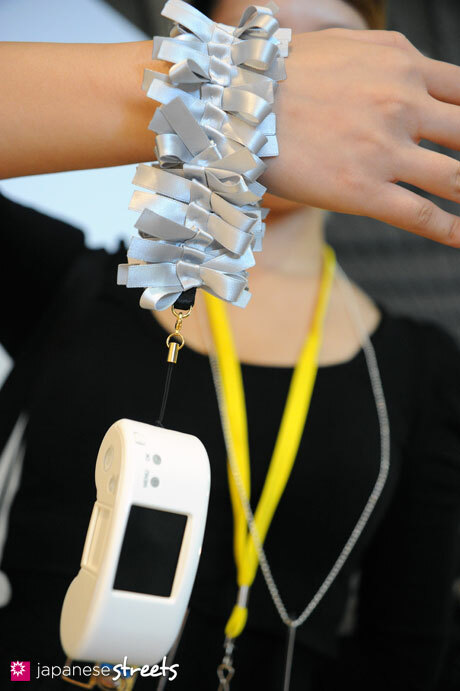 They’d make pretty funky bow ties, too. 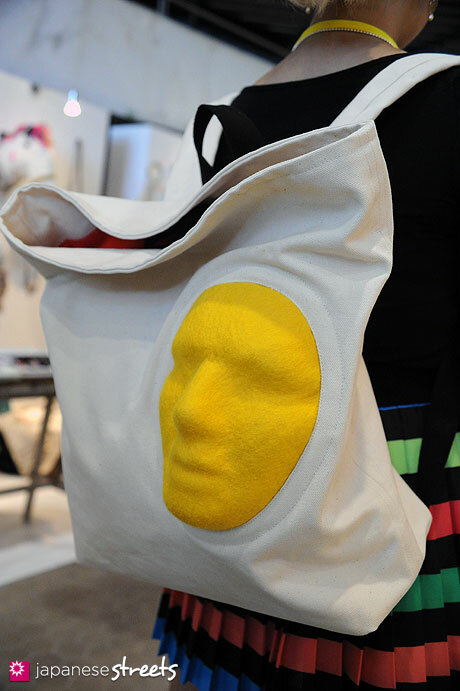 And a backpack offering you some eyes in your back. 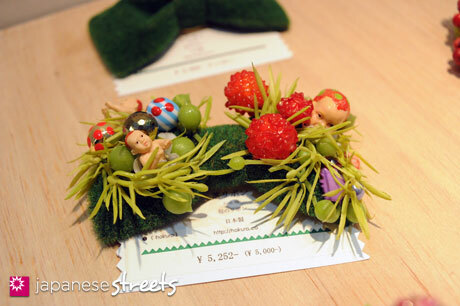 The face has a name, too: Takashi and he shows up on all kinds of products. 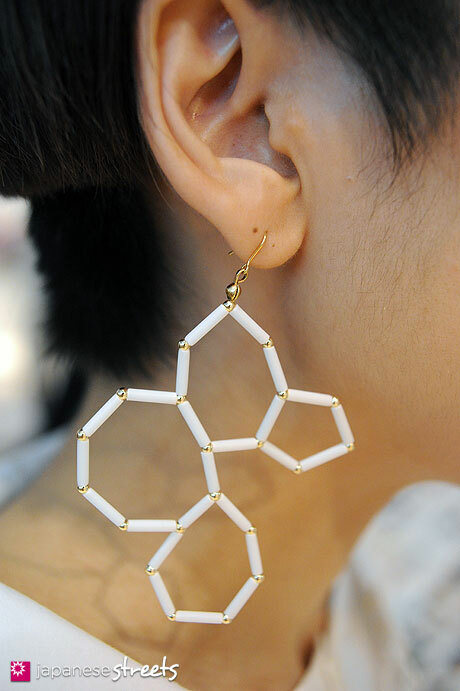 For the romantically inclined, hokoro has created constellations to carry around. 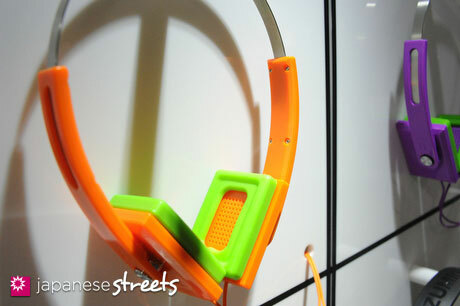 This is a new product that will be available from 2012. PORTRAIT THINGS had some cool camera and wrist straps. 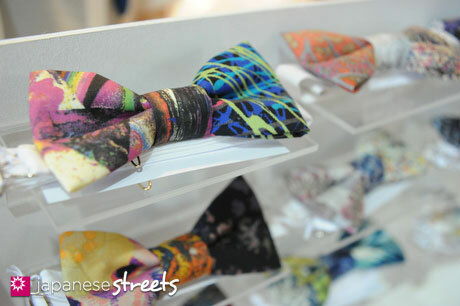 We also liked their bow ties. 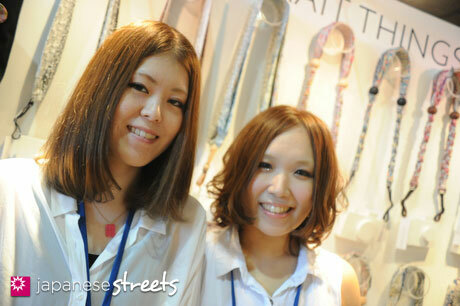 The designers, Noe Yamamoto (left) and Yuki Kawata. TROPOPAUSE displayed men’s and women’s shirts and shoes. 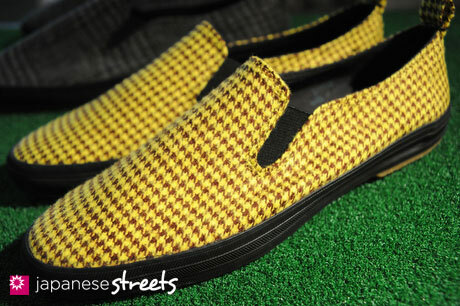 Some of the shirt designs were echoed by the shoes, which gave an interesting effect. I love the collars on their shirts. 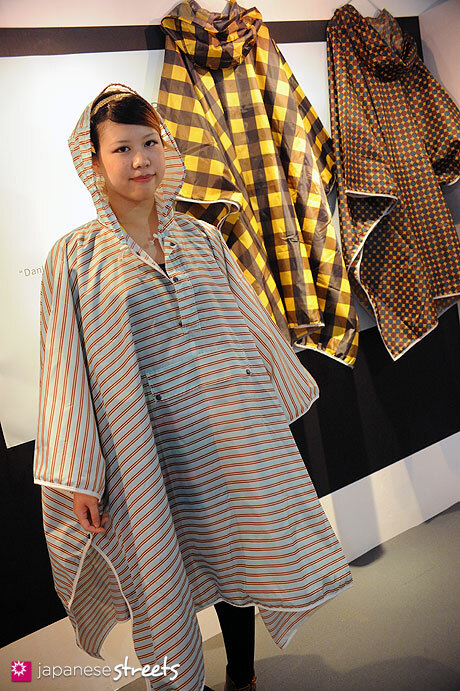 Danke introduced a fashionable rain cape for 2012 that can simultaneously function as a leisure sheet. 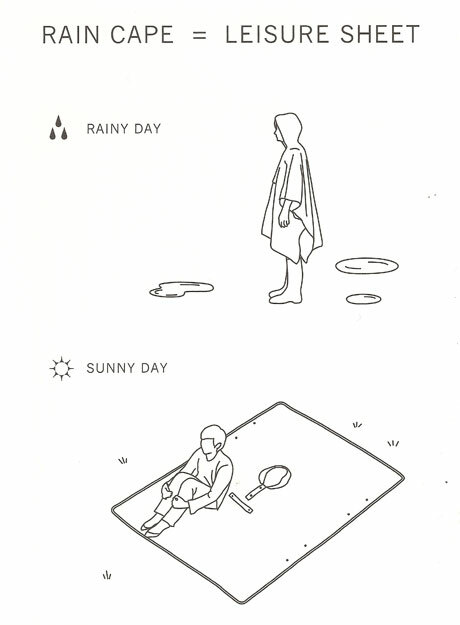 If your carefully planned pick-nick ends up in the rain you’ll have a way to stay dry. 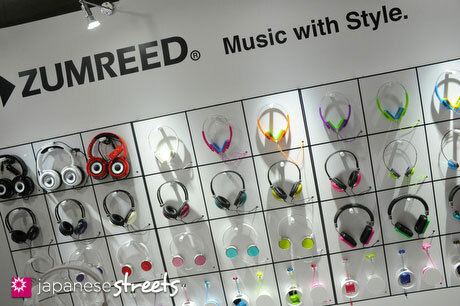 The playfully designed colorful headphones and earphones of ZUMREED make you want to listen to music even more. 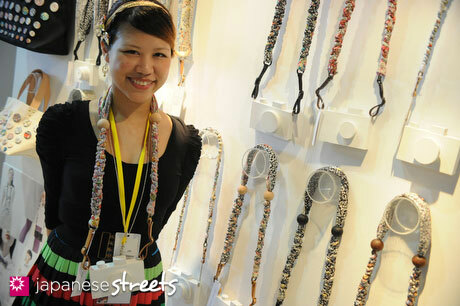 All their different colors and designs kind of invite you too buy several to cordinate with your style of the day.